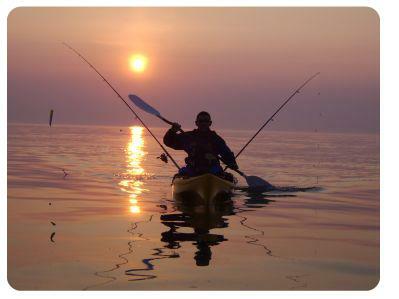 This Armed Forces Day, Saturday, May 18, 2013, local Veterans of Foreign Wars Post 9960 will honor military personnel by hosting a public paddle fishing tournament on the White Oak River and Bogue Inlet waters. This tournament will feature individual cash prizes, as well as special recognition for teams from active/reserve military units and veteran service organizations. This is the first year for this Armed Forces Day tournament, but organizers intend to hold it on an annual basis. VFW Post 9960 will host the event and provide meals and facilities for all participants. The public is invited to participate in the competition, and fishing will commence at 7 a.m. on the 18th. Tournament check-in will take place at 6 a.m. at the VFW�s post, located at 246 VFW Road, Swansboro, NC 28584. Fishing concludes at 2 p.m., with a Victory Celebration from 3 to 4:30 p.m.
Free t-shirts will be provided to participants who register prior to May 8. Cash prizes will be awarded to anglers who catch the longest combined length of two inshore fish in freshwater and saltwater categories. Other prizes will be awarded that day including, �Top Lady Angler,� �Littlest Fish,� and door prizes. Those wanting to participate can register online at www.armedforcesfishing.webs.com through PayPal, by mail, or the morning of the event. Registration costs $25. If participants wish to pay by check prior to, they can make the check out to �Fishing Tournament, VFW Post 9960� and mail their information to Armed Forces Day Fishing Tournament, 141 Longwood Drive, Stella, NC 28582. All boats in the competition must be powered by paddle or pedal, and rental information can be found on the tournament website. If anyone in the community wishes to help sponsor this event, they can contact Curley at 910.340.3383 or visit the website for more detail on sponsorship information. Sponsorships will not only support local veterans� service programs, but help pay for active duty military personnel to participate in the event. All proceeds from the tournament will benefit local veterans� services such as the Marine Corps League, Heroes on the Water, and the Veterans of Foreign Wars. If you have any further questions, do not hesitate to contact Curley at 910.340.3383 or pwcurley@gmail.com; Vanderwerf at 910.554.7437 or usmc2149@gmail.com; or Katie Hansen at 214.724.9253 or hansenkatiea@gmail.com.